Hit shows such as Teen Wolf and Legion will return to Comic-Con, along with new shows Ghosted, Inhumans and many more. FX has announced that the highly-anticipated fourth and final season of The Strain will bring this series to a close this summer. A new video tease how The Partnership tries to ensure that everyone can live a productive life in the final season of FX's The Strain. 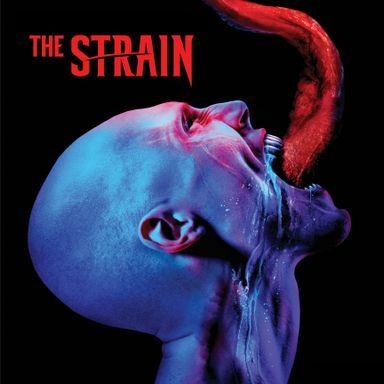 Season 2 of The Strain will debut in the summer of 2015 on FX, with the Season 1 Blu-ray and DVD debuting in December. A Canadian publication reports that production on Season 2 of The Strain will begin in Toronto this November. Fans will get an inside look at the first two episodes of The Strain on Saturday, July 26th with props, costumes and unaired footage. Archer will make its return to San Diego Comic-Con in 2014 along with Sons of Anarchy, The Strain and American Horror Story: Freak Show. Creator Guillermo del Toro takes fans on a wild ride through the horrifying world behind FX's new summer series The Strain, with new interviews from the cast and filmmaker. The end of our world is the beginning of theirs in the highly-anticipated FX series The Strain from Guillermo del Toro. The infected creatures from the upcoming FX series The Strain are put on display, as time runs out to save the world from extinction. The end of the world is the beginning of theirs in Guillermo del Toro and Chuck Hogan's upcoming horror series The Strain. Sean Astin plays CDC administrator Jim Kent, who works with Corey Stoll's Ephraim Goodweather and Mia Maestro's Nora Martinez in Guillermo del Toro's The Strain. Corey Stoll stars as Ephraim Goodweather, who leads a CDC team investigating an ancient strain of vampirism in this new drama series. The cable network has also set premiere dates for new shows Married and You're the Worst, along with retruning favorite Wilfred. An evil strain of vampirism holds New York City in a vice grip in this new horror series based on the novels by Guillermo Del Toro and Chuck Hogan. A new kind of vampire army will rise this summer in a horror series from creators Guillermo del Toro and Chuck Hogan. An eye-popping new poster shows a worm-like parasite coming out of a human eye for this upcoming FX series, debuting this July. Corey Stoll's Ephraim Goodweather is featured in a new photo from this upcoming FX horror series, debuting in July. New York City goes dark during a total eclipse in this FX series about a vampiric viral strain, debuting this July. The deadly viral strain has found its way onto an airplane. Plus, we have new details about the series from Carlton Cuse. The Strain is a high concept thriller that tells the story of Dr. Ephraim Goodweather (Corey Stoll), the head of the Center for Disease Control Canary Team in New York City. He and his team are called upon to investigate a mysterious viral outbreak with hallmarks of an ancient and evil strain of vampirism. When Eph realizes that this isn’t some new bioterror weapon, but something much older, something outside the reach of science, he teams with Abraham to fight back. As a plague of hungry and intelligent predators overwhelms New York, Eph, Abraham and a motley crew of everyday New Yorkers form a ragtag resistance – fighting monsters in the streets and in their homes, waging a war for the fate of humanity itself.